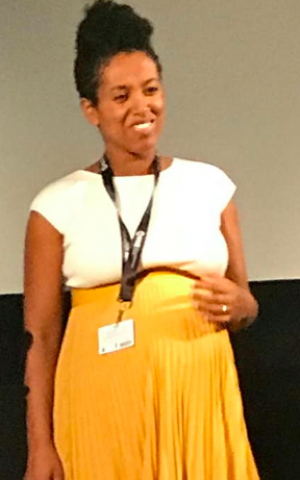 Alamork Marsha snags prestigious Audentia Prize for best female director with film exploring Jewish girl’s last days in rural Ethiopia. The prize, which includes a €30,000 award, is given by the European foundation Eurimages to the best film directed by a woman. “Fig Tree” was screened as part of the Discovery Section of the 2018 Toronto Film Festival. Filmed entirely in Ethiopia, “Fig Tree” tells the story of 14-year-old Mina, a Jewish girl attempting to navigate the final days of her youth in pastoral Ethiopia, where she spends her time with her friends and Christian boyfriend Eli. The 93-minute-film won the $50,000 top prize at the 2014 Sam Spiegel International Film Lab. The film s in Amharic with translation to Hebrew and English. Marsha shot the film in Ethiopia, and cast it with amateurs and actors from the local theater scene in Addis Ababa.